Nvidia GeForce GT 820M is an entry level gaming gpu that is found in most notebooks today. 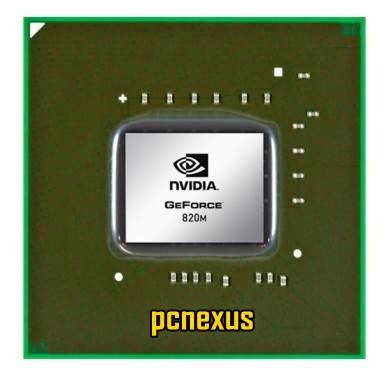 The Nvidia GeForce 820M is a notebook gpu that can be used to play any latest windows platform game till date (2013). This notebook gpu features a 28nm architecture which makes it more power efficient and delivers awesome performance at low power. In this post I will review Nvidia GeForce 820M and tell about its pros and cons, but lets start with its quick specifications. GeForce Performance Score : 2.5x which means it is 2.5 times faster than Intel HD Graphics 4000. 1. No Lags: While playing games on a Windows based pc this gpu never lags even at max resolutions. The games runs like a charm and I can’t find a single bit of lag that can destroy gameplay experience. Gaming is smooth in most games but at 1366x768 screen resolutions only. You may see lags on a bigger 720p+ displays due to its 64bit memory bus which is not enough for HD gaming. OpenGL 4.4 is a boon to this gpu because it is the latest version of OpenGL. I have played games like NFS most wanted 2012, Call of duty MW3, Grid 2 and Battlefield 3, FIFA 14, Call of Duty Black Ops at full resolutions (1366x768) without lags. Your notebook/laptop should have at least 4 GB of RAM. The gpu temperature reaches upto 40 degree Celsius in winters and upto 55 degree celcius in summers while playing games in high resolution. You can use a laptop cooler to lower down the gpu temperature by few degrees. Its gaming performance is similar to Nvidia 720M. This GPU works best with Intel Core i5 because the CPU can be overlocked so it doesn't bottleneck GPU's performance. 2. No Overheating: While playing heavy games the gpu temperature is between 40-50 degree Celsius if the notebook is new. Nvidia GPUs are on better side than AMD GPUs because AMD GPUs run hot as compared to Nvidia. So overheating is not an issue for GeForce 820M as far as notebook is new. Overtime the temperature will increase because the (TIM) thermal interface material will dry out. Its maximum temperature is around 100 degree celcius. While playing games in summer season without a notebook cooler the the temperature may rise to70 degree celsius depending on the game which you are playing. The maximum temperature of this GPU is 105 degree Celcius. 3. Nvidia Optimus : Nvidia Optimus technology automatically switches graphics between Intel HD graphics and Nvidia’s dedicated graphics. So due to optimus technology we get best all round performance while gaming. 4. GPU Boost : GPU Boost automatically overclocks the GPU chip whenever needed while gaming, if the laptop cooling system allows it. Nvidia GeForce 820M fully supports GPU Boost 2.0 which will deliver even faster and balanced performance when required. Intel HD Graphics 4000 is integrated graphics in Intel Core i3 processors. Nvidia GeForce 820M is 2.5 times faster and efficient than Intel HD Graphics 4000. You can check how to change between intel hd graphics and nvidia GT 820M on any laptop. If you game on HDTV’s via HDMI cable then you will get best gaming graphics on a larger screen. Nvidia GeForce 820M has 2 GB dedicated DDR3 memory which is suitable for playing games on a larger HD screen via HDMI connection between your notebook and the HDTV. Nvidia GeForce 820M is backward compatible with older games that are around 8 to 10 years older. I played GTA Sanandreas on this GPU without any error. 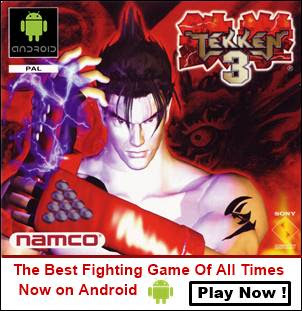 However some games will give error due to incorrect resolution. So run these games in max resolution and settings. Few games require patch fix according to the windows OS you are running, but run smoothly. Below is a gameplay video of Call Of Duty Black Ops on Nvidia GeForce 820M at max resolution and settings. my new hp laptop with nvidia 820m is surprisingly giving me 90 to 100 celsius temps with dipping core clocks. 70 celsius is on idle. heatsink is working properly. being new no question of dust. does this 800m series have issues in hp laptops? The temperature's are not good for a new laptop. At idle the GPU temperature should not go beyond 40 degrees. At 100% usage the temperature may rise to 65 degrees if heat sink is good. I think you should approach a qualified laptop technician to find the fault. If you need help then post pics of the laptops and temperature data on my facebook page below. Got a question guys why is my laptop only showing 1gb of memory of my geforce 820m? ITS SUPPOSED TO BE 2GB RIGHT? i just got a new laptop hp 15 r201tx . i tried playing fifa 14 at full resolution but the game play at full resolution was sluttering even at very low graphics. do i need to install anything else apart from my NVIDIA Graphics driver ? Install the latest Nvidia driver for 820M. Then right click on FIFA14 exe file and choose Run with graphics processor', then choose 'High Performance Nvidia Processor'. Hope it helps. I do remind you that nvidia 820M is an entry level GPU so games may lag a little bit, also the intel i3 cpu is a bottleneck because it doesn't allow the GPU to overclock itself which is fully supported by Nvidia 820M. You can only run the game smoothly in optimal settings. This is not a high end graphics chip. Hi!Recently I bough a dell inspiron 3542 with i3,intel hd4400,4gb ram and nvidia 820m.The problem is that when i play games with nvidia gpu,the fan becomes loud,but when i play games i dont have this problem but i have low fps.I dont think i need to clean the laptop because its new.How i can fix it? While playing games the GPU temperature can rise above 60 degrees. So the fan will spin rapidly and throw out hot air continuously. At this speed the fan becomes a little bit loud but the sound is not audible unless you put your ear in front of it. If you are hearing any loud noise from fan then get it checked. Laptop fans do not make any sound except the air blowing sound which is minimal and can't be heared unless you bring your ear close to the fan. i have hp pavilion 15 core 15 laptop and the problem is when im browsing my core laptops temp is 68-70 celcius. when i play high games it becomes 80-88 celcius and my nvidia geforce graphics card 820m gives me temperatures 90-95 celcius it is safe for my laptop? Intel core i5 can survive upto 105 degree celcius but this doesn't mean that it should give temperatures 68-70 degrees while browsing. I think your laptop's fan is clogged with dust. And if your laptop is more than 3 years old then it needs thermal paste replacement. I suggest arctic silver in thermal paste. Ask a professional to clean your laptop's fan and replace the thermal compound on CPU and GPU. Before buying any game just check the minimum system requirements for that game. Resolution won't be an issue.